The 2014 Subaru XV Crosstrek is a vehicle at some sort of crossroad. Higher than a car, more versatile than a sedan, it is more compact than the vast majority of SUVs. The 2014 Subaru XV Crosstrek is a vehicle at some sort of crossroad. Higher than a car, more versatile than a sedan, it is more compact than the vast majority of SUVs. However, its ground clearance allows it to overcome obstacles that only an SUV would be able to tackle. 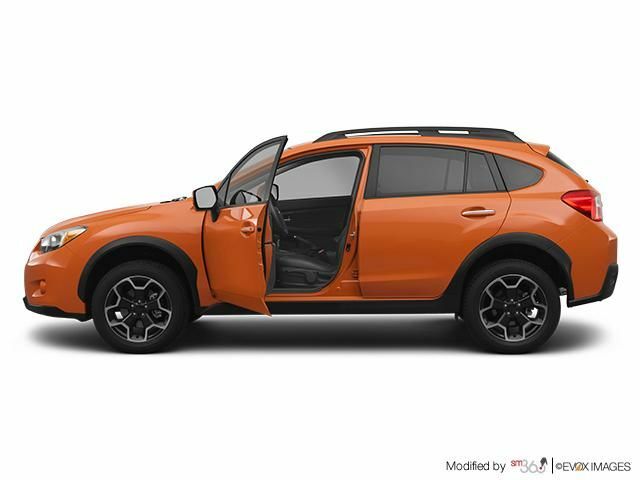 For many, the 2014 Subaru XV Crosstrek represents a combination of important features that you want to find in a vehicle. 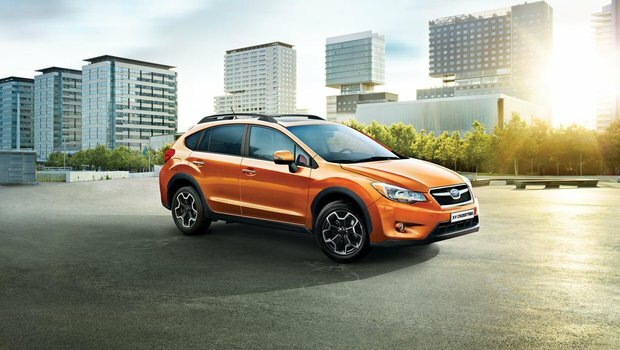 In fact, the 2014 Subaru XV Crosstrek is a more robust version of the 5-door Subaru Impreza. Higher than the latter, it has a cabin that is, for all practical purposes, identical to the Impreza and a load volume as welcoming. Let's go back to that crossroad. The Subaru XV Crosstrek is found at the intersection of a family car, a sport utility vehicle and a sedan. Its highly sophisticated symmetrical all-wheel drive, in combination with its high driving position, reassures the driver, but its compact dimensions are more manageable in an urban environment. Under the hood of the Subaru XV Crosstrek, one finds the same engine that also powers the Subaru Impreza. It is a BOXER type four-cylinder 2.0-liter developing 148 horsepower and 145 lb-ft of torque. This engine can be mated to a standard 5-speed manual transmission or to a continuously variable automatic transmission (CVT) called Lineartronic. The latter operates in absolute silence while being the most economical. Indeed, thusly equipped, the 2014 Subaru XV Crosstrek has an average consumption of 6.0 liters per 100 kilometers on the highway. Even with the 5-speed manual transmission, the XV Crosstrek remains economical with an advertised average consumption of 6.7 liters per 100 kilometers. Unveiled at the last New York Auto Show, the Subaru XV Crosstrek Hybrid is the first vehicle with and electric-gasoline drive offered by the Japanese manufacturer. In addition, it has almost no rival in its class. The technology behind the 2014 Subaru XV Crosstrek Hybrid is relatively simple. Subaru engineers have added a 15 kW electric motor between the engine and the CVT transmission. This motor is able to help the engine propel the XV Crosstrek Hybrid in order to reduce power demand, and therefore consumption. According to Subaru, it is also possible to reach just over 40 km/h in electric mode only, provided of course you do not use too much throttle. Regardless of the model, the interior of the 2014 Subaru XV Crosstrek features welcoming dimensions, able to appeal to buyers of all sizes. Meanwhile, its trunk is quite large, taking into account that it is a compact model, with 632 liters of cargo space. The 2014 Subaru XV Crosstrek may be a unique model, it nevertheless is able to meet several needs, from safety to the inside. 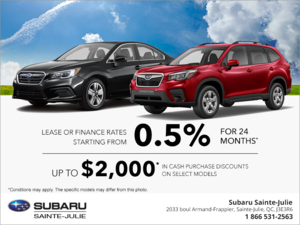 Come try it today at Sainte-Julie Subaru!